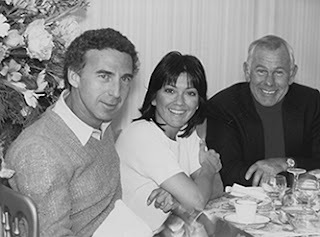 Johnny Carson made his home in the hearts and minds of millions by entertaining us for years with his sharp wit, gift of gab, and infallible comedic timing. 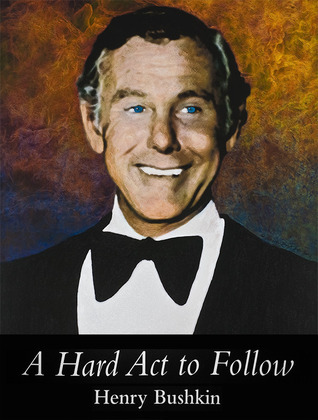 With the publication of "A Hard Act to Follow", Henry Bushkin brings Johnny Carson the man into sharp relief. We see him as the son, craving attention and approval denied. The shark-like businessman doing whatever it takes to maintain his hard won fame and fortune. The husband and father who, though loved by millions in his professional life, is never truly able to find or give that love in his personal one. This book is a very balanced accounting of Carson's life as experienced, by his attorney, friend, and confidant Henry Bushkin. While Henry is the first to acknowledge the great heights of personal accomplishment in both his and Mr. Carson's lives; he manages to convey the lows with a grace and candor that touches both the hearts and minds of readers. grew up with Johnny's monologs as her lullabyes; feels is in itself "a hard act to follow." And Now...A Little Light Reading. From my point of view, the proceedings should have ended long ago. Joanne had been caught in an adulterous relationship. That was grounds for divorce. There were no custody issues. There was property to divide, alimony to negotiate, but she was a young woman who had a somewhat successful television career and had previously been an airline stewardess; it should have been an easy settlement. But it wasn’t. Raoul Felder, defining his style as a matrimonial litigator, was intransigent, and Joanne, unfortunately, was hysterical. She phoned Johnny and harangued him, and then phoned me and harangued me. She showed up at NBC in an inebriated condition to annoy and provoke him. It got to the point where we had to move for restraining orders. Sometimes her behavior made me feel that I was in beyond my depth. Once I sought the advice of the great lawyer Louis Nizer, who had briefly represented Carson, as well as Charlie Chaplin, Salvador Dali, and many other famous clients. I was happy I did; he was the Yoda I had been hoping for. “Nothing is more bitter than litigation between husbands and wives,’’ he told me.“The nastiness and anger exceed that of any other relationship. Don’t get caught up in it. Leave all the emotions to the psychiatrists. 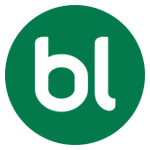 Focus on creating an equitable settlement.’’ It was very sound advice; even more flattering, Nizer called me a few weeks later to see if I would be interested in joining his firm. I wasn’t. The turning point came when Joanne, for whatever reason, re- placed the militant Felder with the even-keeled, highly professional MortonBass. Once he got involved, the case resolved itself. We agreed that Joanne would receive the sum of $6,000 per month until she re- married or until Johnny’s death (which she did, until Johnny died in 2005), as well as a pretty nice little art collection. It was a fair settlement, but given the millions Johnny was earning at the time, I think I did a damn good job for him. The case did not end without a further outburst. On the very day in June 1972 when the divorce settlement was to be put on the record at the Supreme Court in the Bronx, Joanne fired Bass and introduced her new attorney. The judge would have none of it, and made it clear that if she did not approve the settlement, there would be severe repercussions. Joanne came to her senses long enough to recant, and the settlement was approved. As part of the deal, Carson had agreed to pay Bass $35,000 for his fees. I gave him the check at the courthouse once the settlement was approved.